Trump administration declines to apply new Russia sanctions, for now – #TraitorTrump pays off oligarchs for lending him money to bail out his failed hotels! The administration faced a deadline on Monday to impose sanctions on anyone determined to conduct significant business with Russian defense and intelligence sectors, already sanctioned for their alleged role in the election. But citing long time frames associated with major defense deals, Nauert said it was too soon to tell how effective the law had been, so it was better to wait to impose those sanctions. “From that perspective, if the law is working, sanctions on specific entities or individuals will not need to be imposed because the legislation is, in fact, serving as a deterrent,” she said in a statement. What happens when a woman of colour talks about race in this country? To answer the question, which presumably white people don’t want to ask because they’re too busy debating the more pressing one of whether racism actually exists, I direct you to a particularly sneering review of Afua Hirsch’s book, Brit(ish): On Race, Identity and Belonging. A review by a white British man of a book by a mixed race British woman which, inconveniently for the reviewer, confirms in its sheer nastiness everything Hirsch is saying. Apart from the fact that this is obviously an instance of a review being cynically co-opted as an opportunity to further divisiveness as opposed to an actual conversation (“I know! 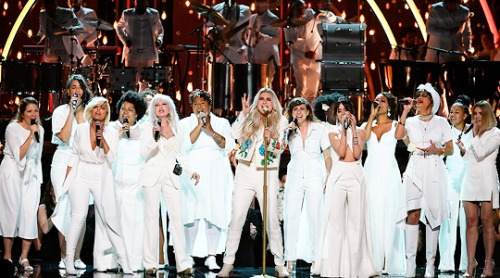 Let’s get a defensive white man on this!”), it shows how far we are from a #MeToo moment about race. From, at base level, just being heard. “White privilege,” Reni Eddo-Lodge writes in Why I’m No Longer Talking to White People About Race, “is a … suffocating blanket of power that envelops everything we know, like a snowy day.” And like snow, its overwhelming effect is silence: to muffle our everyday experience. Russia is set to continue its campaign of meddling in foreign elections by targeting the congressional midterm races in America, the head of the CIA has warned. 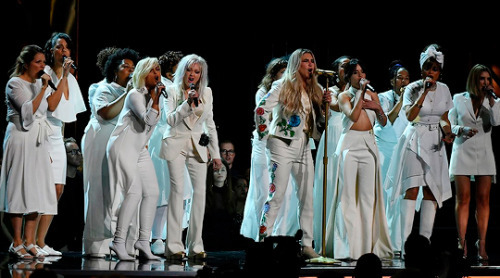 Kesha was joined by Cyndi Lauper, Camila Cabello, Julia Michaels & Andra Day for a powerful “Praying” performance at the Grammy’s.